You must analyze your practice test which you have just completed. Don’t make the same mistakes again. Practice, practice and practice. Before siting for IELTS exam, give mock test under real exam like condition. Instructions: It is very important and you must watch the instruction before starting. For example: “No more than two words”. Singular or plural: Be careful with the word with s/es (or not). They are confusing. Spelling: your answer will not be regarded as correct if your spelling is wrong. Prediction: Use your knowledge and common sense to predict and write the answer. Watch the surrounding words for your conjecture. Map: one of the difficult parts for the listening section is the direction in map completion. You should practice more for the map. A conversation between two or more people in 3rd part: People often discuss their projects or talk about some other issues and you need to be extra careful. They tell about all options and it needs more attention. There is no pause in the 4th part of the listening section. The spelling of name and cell no are quickly told and notice. Focused & give continuous attention to listening. Answers can be changed and write each answer which you have just heard. Be familiar with a range of accents. Discuss with a partner who will also give IELTS exam. Use a mirror – you can watch yourself. Speak yourself and record and then listen for your errors. Read loudly any good passage. Listen and sing English songs simultaneously. Don’t stop in the speaking test. Fill the sentence with any meaningful words. Don’t say um, ummm etc. Don’t repeat the same words. Use different words. Different tense and sentence (Simple-Complex-Compound). Intonation (the way someone's voice rises and falls as they're speaking) your voice. Practice on Cue Card samples. Skim and Scan and practice & practice. Don’t try to understand the whole passage and the exam is about strategy not for the English knowledge. Try to remember what you have just read. Difficult: T/F Not given questions, Matching Heading and ‘Matching Information to Paragraphs’. After completing the reading task, solve the problems with detail analysis and work on your weakness. Matching Heading and ‘Matching Information to Paragraphs’ should be given at last. Different types of sentence structure (simple-complex-compound - conditional- question – passive – different tenses). Use more complex sentences. Different vocab suitable to the sentence. Use linking words and adverb (Moreover, however, firstly, secondly …). Before starting the task, you must plan for 2-5 minutes (keywords, instructions, question type). Practice on writing part one and give emphasis one each type of graph. The incidents and tragedies will continue! Bangladesh has recently faced a deadly accident and it is a fire incident in Chawkbazar, Old Dhaka. It is a big shock to many. But is it really? Calm down, people! It is not new to the people of Bangladesh and they have become accustomed to it. On 3 June 2010, a big night for some people, wedding parties continued on the roof the building in Nimtoli area. The worst incident happened when an electrical transformer exploded with fire and fire was fanned by flammable items (chemicals). The transformer blast was caused by a fire from a plastic factory's chemicals stored in houses. The factory caught fire from a stove pit near to it where cooks were cooking meals for the wedding engagement party. The density of that area, narrow lanes of Old Dhaka made it more complex for firefighters to stop the blaze. In 2010, the Nimtoli fire in Old Dhaka killed approximately 124 people. However, nothing has changed. We have not learned anything from the hellfire accident. Chemical warehouses continue to operate in Old Dhaka illegally and old buildings are not demolished. Illegal establishments are at every street of old Dhaka. It has been a time bomb and it has just blasted into Chawkbazar in Old Dhaka. This fire incident was in a multi-hazardous zone where there were transformers, cars with flammable cylinder bottles and a lot of chemical liquids. Helicopters were used to spray water and douse the fire as an attempt to aid the firefighters. The major challenges the firefighters faced are narrow roads and water shortage in the area. The staircases of old buildings made it more difficult to handle fire service equipment and tools to work on the area. It is now confirmed that the fire was initiated at a four-story building. So, what are the reasons for such continuous disasters? Corruption, greed, and negligence kill people and destroy our resources. We must act now and it is time. We have to clear and broaden the roads by breaking the illegal shops, houses, and other infrastructures. We must shift factories and chemical warehouses and ensure enough safety in the area. Strike a hot metal (iron) with a tool before it cools. You have to shape a metal body while it is hot otherwise it will be difficult and people will forget. If these steps cannot be taken immediately and properly, you know what can happen. The tragedy is happening in front of our eyes and we see and we mourn and forget. And it continues ………. People make the same mistakes again and again but they should not. By studying history, we could learn the past incidents and accidents which our previous generation made. For instance, if anyone studies the battle of Palashi, he will understand the actual reasons of the king’s Shiraj Uddula’s defeat. The king did not lose because of the British East India Company. He was lost due to a conspiracy of his own people. Pupils have the opportunities to know the experience of the past and understand the present and are ready for the future. Without history knowledge, we will not be complete. In the present era, we cannot think of a day without technologies. Science and technology make the day to day jobs easier. If we don’t possess the knowledge of information and communication technology, we will be in the last position in the economic competition of the world. The modern invention in medical research and other sectors are possible because of ICT. The government and other private organizations cannot protect themselves from cyber-attack, data theft without modern technological education. In conclusion, I opine that both subjects are important because students need for their future. In most universities, discipline like CSE, SW keep history courses for their student development. A number of people think that now we have lots of options in our life. In present modern life, people can choose easily due to technological advances, advanced research and so on. In my opinion, I agree with the above statement because we have already found many opportunities. With the invention of modern science and technology and innovative research, we can obtain and learn so many things in a short time. If I consider the education sector as an example, we see a revolution in the sector. Teachers and students can get their required books and materials easily and quickly. They can apply in several countries for higher studies sitting in their home. The Internet is available and wifi gets cheaper. Information flow is everywhere. If anyone lacks any skills he/ she can achieve the quality by taking a course in edx or Coursera or other educational websites that provide quality education freely or with little cost. Students have the freedom to find their aim in life since they can get advice and a motivational speech from YouTube. In the digital era, any person gets so many opportunities which are not possible in the past. In some cases, so many options can make people confused. Some experts also believe that we have got limited choices in our life because our choices are influenced by social media and/ or commercial advertisements and/ or politicians. To conclude, it can be said that economic development and technological advancement allows us to choose among numerous options. However, we do have a limitation as we are the human being. We are being told to what to do or not to do by someone else. We need to be careful with our choices. Question: Living in a country where you have to speak a foreign language can cause serious social problems, as well as practical problems. Residing in a foreign country where a person has to speak the country’s local language which is not his / her mother tongue can lead to both social and practical difficulties. In my opinion, the statement is very true. Language is not just a spoken expression of people. It also contains culture, history and so on. Learning a second and/ or third language require extra time and dedication and people cannot always grasp the inner meaning of some words of a foreign language. Generally, people don’t have enough time and resources to learn a language. If they find the way, they may not have the capacity to process what they have learned. Mass people have limitation and they are not supermen. After gaining knowledge of a foreign language, he/ she cannot fully apply in practice. If a person makes a one pronunciation mistake or grammatical error it may change the whole meaning and it will embarrass him/ her. In some cases, they may be bullied for their alien accent. However, if we look in the positive aspect, it can expand our friendships. Some foreigners living in the area understand the situation and they may help you with their language and it enriches your language learning skills. Some research finds that learning more languages help our brain power. For several reasons, people abide in a foreign country. However, it can be an opportunity or an awkward situation for the person who lives abroad. To avoid the day to day problems, the person must learn how to use the local language and it will help in many ways. This sample answer will be helpful for your writing test. If you want any modifications for the answer, please recommend the changes in the comment box. We will see. Why should I give my extra time for the social development free? Why should provide something to someone without my benefits? Giving someone does not reduce your wealth instead it helps you in various ways. Donation and voluntary work bring amazing benefits to your mind, body, and society. Developing yourselves: Working in a voluntary organization help you develop your leadership capacities, communication skills, team works, and other skills. For higher studies and/or getting a job: To get a good job, you will need some working experience. However, if you are a fresh graduate, you don’t have any practical work experience. Then how will you get experience while you are studying? Volunteering, internship, and freelance works help you in this regard. Furthermore, working for the people increases chances to get you scholarships for the higher studies. Voluntary works prove that you are active and work for society. People like an active and industrious person. Finding eternal peace: medical research has proved that you will get pleasure for helping others in need. For practical experience, you just give your warm clothes to a poor person, you definitely feel better. I can guarantee it. You will feel satisfied and be happier. Removing depression/ anxiety: Voluntary work and charity definitely reduce mental disorder. To remove depression or anxiety or stress, you can work for social welfare. Moreover, it renders people improved self-esteem & self-worth. It helps you live a longer life. Get rid of bad habits: if you are addicted to drugs and/ or masturbation, working with voluntary organizations helps you destroy these evil behaviours. To protect the environment and the world: For our own survival, we need to save the world by cleaning the environment. There are several ways we can do it. We can form groups or organizations to raise awareness and motivate people to protect the environment. Tree plantation is one of the initiatives which can be taken by anyone. Civil society groups and NGOs can pressure the government to implement environment-friendly policy. Environment-friendly and informed governments can pressurize the United Nations (UN) to take broad initiatives for the world environment. Promoting Generosity in your kids: When your children observe you to give money to some people or organizations, they naturally adopt a donating-mindset. This mindset helps your kids to be good and gentle people. Tax Reduction: You can write off charity on your tax return form and get a certain amount of tax rebate. Some restrictions and conditions do apply. A good number of celebrities and businessmen make a donation for this purpose. Getting reward (Sawāb): Both Quran and hadith ensure that givers (donors) will receive Allah’s rewards both in this world and in the life hereafter. Giving donation does not reduce our wealth instead almighty Allah expands it. The philanthropists and charitable persons will be awarded highly. Sadaqah Jaariyah (an ‘ongoing charity’) is an amazing concept for Muslim people. Prophet Muhammad (peace be upon him), said that “when a man dies, his deeds come to an end except three: beneficial knowledge, Sadaqah Jaariyah and a child who prays for him/ her”. Circular for 40th BCS has been published today. 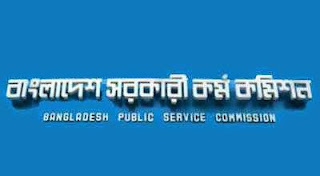 With the new circular, the government of Bangladesh wants to recruit 1,903 cadres. The government’s decision on quota system will be followed in the selection of new cadres. Applicants can apply for the given posts from September 30 to November 15, 2018. 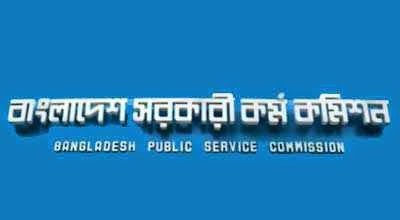 As a recruiting agency, Bangladesh Public Service Commission (BPSC) can increase the number of given posts. এ বলে বরিশালের লোক খারাপ ও বলে নোয়াখালীর মানুষ খারাপ। লোকে বলে কুমিল্লার মানুষ এই আর বিক্রমপুরের অই ……………………………… ইত্যাদি ইত্যাদি! তো কোন বাংলাদেশের কোন বিভাগ বা জেলার লোক ভালো? # আমরা অনেকে সুযোগের অভাবে ভদ্রলোক! সুযোগ পেলে রিক্সাওয়ালারাও আমাদের বাঁশ দেয়ার চেষ্টা করে। বৃষ্টি হলে/ খুব গরমে/ রাতে আপনি রিক্সায় উঠতে হলে বাড়তি টাকা দিতে হবে। আর আপনি মেয়ে হলে তো কোন কথাই নেই! # কেউ পরশ্রীকাতর আবার কেউ পরস্ত্রীকাতর! # সরকারি বিশ্ববিদ্যালয় শিক্ষক নিয়োগে কি হচ্ছে? কারা নিয়োগ পাচ্ছে? মেধাবি সৎ ভদ্র ছাত্র-ছাত্রীরা কি চাকরি পাচ্ছে? এসব শিক্ষক কিভাবে মানুষ গড়ার কারিগর হবে?